John and Barbara Ratcliffe’s home in Hampshire is easy to find. It is the only property on their leafy road in Fleet with a bright yellow banner hanging on the hedge, that reads: ‘Free Nazanin. Bring Our Girls Back’. 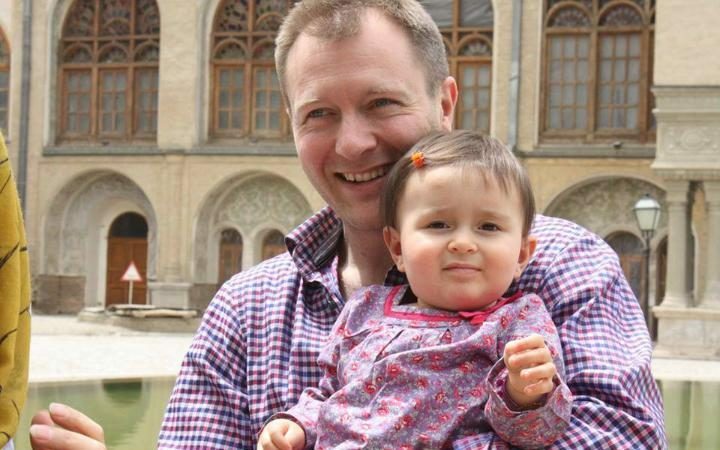 The ‘girls’ are their daughter-in-law, Nazanin Zaghari-Ratcliffe, a 38-year-old project manager for the Thomson Reuters Foundation, currently serving a five-year jail sentence in Iran, and her daughter, Gabriella - who turns three today. The Ratcliffes are celebrating with a family barbecue in the back garden; Gabriella will have to join them on Skype, to hear them sing her ‘Happy Birthday’. It is the second one she will have spent away from her grandparents, and more than a year since they saw her last. “It must have been March 2016,” says Barbara. “Naz and I went shopping and bought Gabriella an anorak. It was a flowery little thing.” She pulls out her phone, proudly, to show me a photograph. 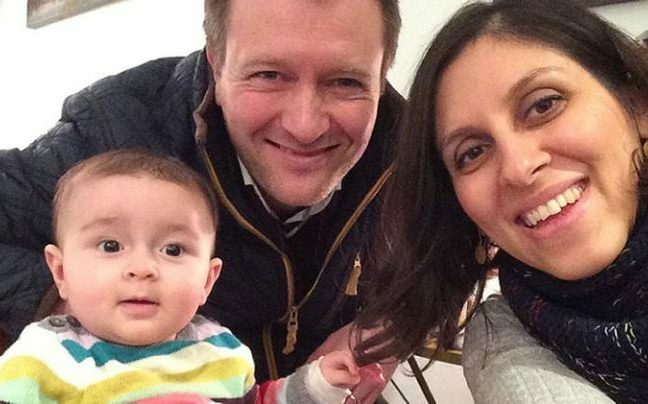 The Ratcliffes’ nightmare began on 3 April 2016 when Nazanin - a dual British and Iranian citizen - was arrested in Tehran on her way back to London, having taken Gabriella to visit her parents. The exact charges against her remain unclear, but have been reported variously as espionage and plotting the overthrow of the Islamic Iranian government. Nazanin is locked up in Tehran’s notorious Evin prison, while Gabriella has spent the last year of her life with her maternal grandparents in Iran. Her father, John and Barbara’s son, Richard, has been forced to have a relationship with his daughter over Skype, and is only allowed rare phone calls with his wife. Living alone in their West Hampstead home, the 42-year-old accountant spends most of his time campaigning to have his family returned to him. The entire Ratcliffe clan - John and Barbara’s four children and five grandchildren, not to mention cousins, aunts and uncles - have banded together to fight for Nazanin and Gabriella’s return. The Ratcliffes’ home is testament to this. 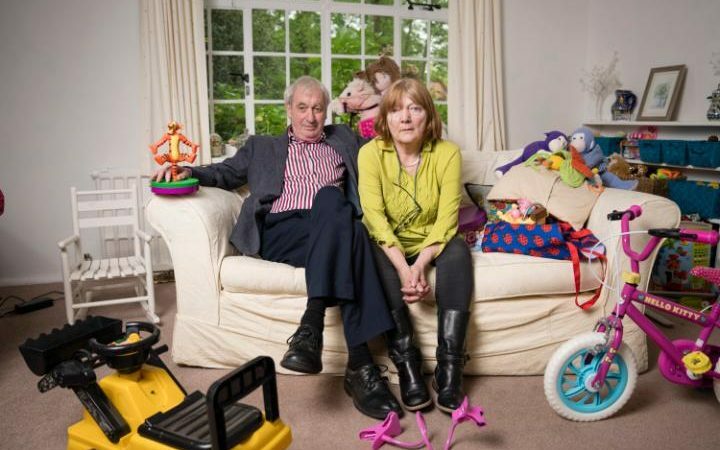 A photo of Richard and Nazanin hangs with pride on their living room wall, while Gabriella’s toys (now played with only via Skype) are still scattered on the floor. A large stack of Christmas presents remain unwrapped behind the sofa. As a full British citizen, Gabriella could legally be brought back home to the Ratcliffes at any point, but she is deliberately being looked after by her Iranian grandparents so that she can visit her mother once or twice a week. During her year of imprisonment, Nazanin has already had suicidal thoughts, and the only time that her parents-in-law received a phone call from her was last November, when she was at her lowest. “It was awful,” says Barbara quietly. “She was in tears saying ‘I’m so sorry I’m causing all this trouble.’ We said, ‘It’s not you’. Back when Gabriella lived with her parents in London, Barbara would see her granddaughter regularly and play games, cook and dance with her. Yet in the last year, Gabriella has lost her grasp of English and speaks just Farsi. The only way her grandmother can talk to her is with Nazanin’s younger brother Mohammed translating. Her grandparents have already sent over her birthday present - an expensive life size doll that they’d bought for her back when Richard and Nazanin had been thinking about having another child - which a British politician kindly took over for them. “She likes her dolly,” smiles Barbara. “And a knitted incey wincey spider, a hideous thing I knitted; she liked that. She’s perfectly alright - but at the same time she’s also not, because she’s been taken from her mum and dad. She’s turned from an English baby to an Iranian little girl and she’s growing up fast. She’s so much more mature than any of our other grandchildren were at that age. Nor do the Ratcliffes have any idea when their family will be reunited again. Though Nazanin still has four years left in prison, they desperately hope that the British government will manage to secure her release before then. They try hard to not think too deeply about the amount of time that has passed since their son last saw his wife, let alone his little girl.